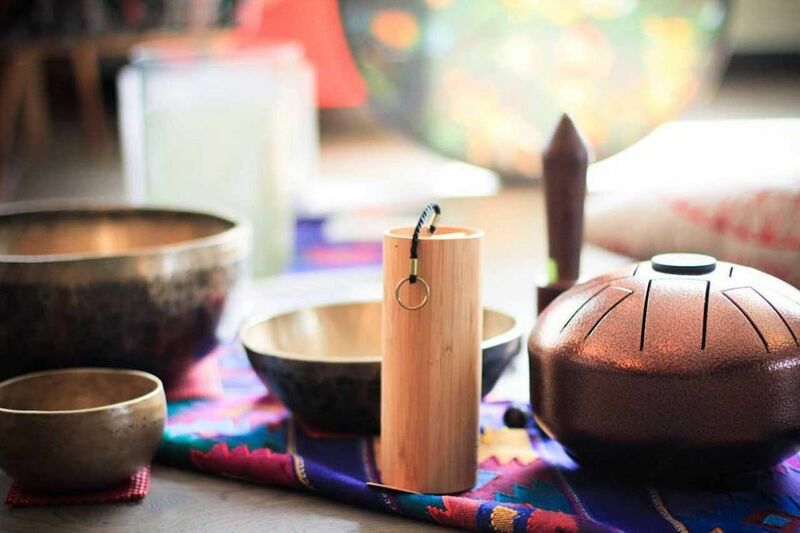 Join Minna from Harmoniaalto and Saje Natural Wellness for an immersive sound bath event that will melt stress away and inspire feelings of inner balance. During this unique experience, both your olfactory and auditory senses will be activated to help you reach a deep and gentle meditative state. 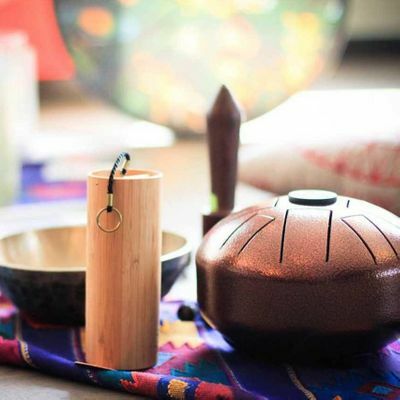 First, we will give you a brief five-minute introduction to the essential oils that we will be including into the sound bath experience. Then, we will get into comfortable positions on our yoga mats and the 60-minute sound bath and aromatherapy meditation will begin. Minna will guide you through simple breathing and vocal exercises to allow your body and mind to become more present as you transfer into a relaxed state. She will use guided imagery, deep listening, sacred geometry, and soothing live sounds of acoustic instruments to further support the release of tension in the body and mind. We will end the evening with soft chanting making sure everyone is back in their body and safe to go back home. After the sound bath, you will have the opportunity to ask us any questions about essential oils and aromatherapy, and we will be offering 20% off many things in the store, exclusive to the attendees of the event. *It is important that you are warm and comfortable during a sound bath. Please bring a blanket, pillow, and warm clothing. Yoga mats will be provided. **Ultrasonic diffusers will provide calming aromas throughout the event.